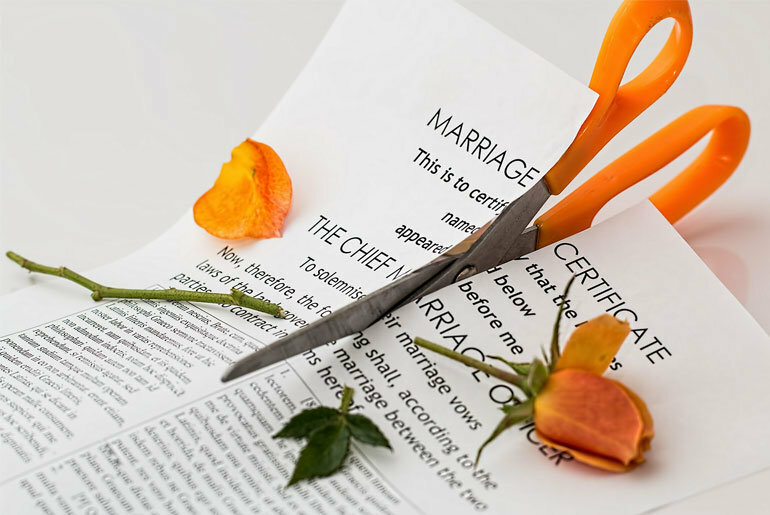 Going through a divorce is surely one of the most stressful situations a person can go through. It puts a strain on both the emotional and financial well-being of the people involved. For those of us that have the misfortune to go through a divorce, it can cause a lot of issues. And often enough it can carry over to the workplace and add unnecessary problems. Depending on how you process these emotions it usually results in feelings getting the best of you. Stress can lead to an unconcentrated mind and can compromise your effectiveness in the workplace. In this situation, it is the last thing we want to happen. Here are some guides on how to minimize the negative effects of such an unfortunate ordeal and thrive at work. One of the best advice you can get in these kinds of situations is to preoccupy yourself with activities. But what most people get wrong is to focus solely on one kind of activity. Activate yourself physically: adopt a regular exercise routine. It is proven time and time again that intense physical activity has a tremendously good influence on the mind and emotions. A consistent and concentrated exercise plan will provide you a vent of sorts for all of your negative emotions. Tension, stress, anxiety, anger, sadness etc. will all be greatly diminished and will not overflow into your working place. If you have the mental fortitude, you should practice leaving your issues at the door. Check your problems and worries regarding the divorce at the door. Your workplace and business schedule will have little understanding of your situation and will not suffer inefficiencies for long. Yes, it can seem harsh, but it is the cold hard truth. Commit yourself for those 8 plus hours to be as efficient as possible. Leave the drama as far away as possible, turn off your personal phone. Avoid correspondences that might trigger a disruption in your flow. After all, your job has nothing to do with the misfortune of your divorce, so why mix the two? With all the emotions that come with a divorce, none of them positive, you can become vulnerable to distractions. Your living and financial situation might be changing, it is understandable. Your job just might not be your top priority, however, productivity and focus are can play a huge role in the healing process. It can be as simple as using a pair of headphones to drown out the noise and other possible distractions. Knowing that an office like this will guide and help you through hard times can take a great load off the mind. It might occur to you to take a leave of absence, to sort everything out yourself. But that would not be in line with our first rule, keeping yourself busy. If in any way, shape, or form you can maintain your frame and direction, you should keep going. Let the professionals do their job, and ease your mind knowing that you are in the right hands. Support from your peers is essential for a workplace you can look forward coming back to. Let everyone relevant know of your situation, but also assure that it minimally affects your performance. It is irrational to think the effect will be non-existent, and no one expects that. Even though most of your proceedings will be handled by your chosen family law experts, sometimes you will need to be absent. For legal or personal reasons, you will need to leave work and take care of business yourself. If everyone of importance is informed, you will find help, acceptance, and understanding in future trying times. In our modern society, divorce rates are unfortunately on the rise. It is not a rare occurrence, and certainly not one to be taken lightly. Fortunately, there are plenty of ways for us to seek comfort and understanding. In our personal surrounding family and friends can be of great support and will always be there for us. But when it comes to the professional environment, the situation changes slightly. We are still expected to perform to a certain capacity. Our colleagues will undoubtedly show understanding, support and offer help when needed. Still, it is our responsibility to rise above the hard times, pick ourselves up as soon as possible. By letting ourselves heal we can eventually bring closure to this ordeal. These steps will surely make the process much more bearable for us and the people around us.